Starting a nonprofit can be very rewarding but very complex as well. As an administrator you have to start thinking about choosing a board of directors, marketing your organization, developing a strategic plan, hiring employees, training volunteers, and much more. This creates a set of challenges that make it difficult for the nonprofit administrator to focus on services and sustainability. This also explains why so many nonprofit administrators cannot pay themselves until after a year and why many feel burnout or quit. The good news is you’ve made the best move of this process. 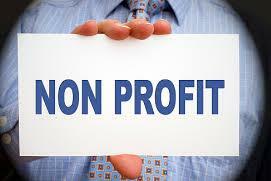 To learn all you can about the non-profit process before getting started. In this workshop you will learn the road map to get off to a great start in the right direction. Review below the answers that will be covered in detail and allotted time for specific questions to be answer in regards to your organizations needs. What is a nonprofit Organization ? What are the differences between For-Profit and a Non-Profit business? What are the different kinds of nonprofit? What is the importance of the Founder’s Vision? What happens in your first Organizational Meeting? What Business Licenses my organization should apply for? What are my options to complete the process? Why is continuous Learning and Organizational development important? Workshops are schedule the 3rd Monday of each month. Check the ACT calendar for changes in schedule. Check back for the next workshop date. Amateur Advocate Association a 501 (c) (3) non-profit organization established for the purpose of helping those whose passion is to help others. Originally founded in 1983, AAA reorganized as an official 501 (c) (3) in 2004 with already more than two decades of experience establishing and running successful non-profit associations. AAA strives to empower youth and community to more abundantly serve the greater good.